I used to think there was some kind of conspiracy between Intel and Microsoft. Intel would create faster processors, and Microsoft would release new operating systems and updates which needed more and more resources. I am sure that someone uses all the new features that they have placed in the new operating systems, but I never really appreciated all the new features. All things considered, I would be perfectly happy reverting to Windows XP. In the end, all I really want is an operating system that boots fast, resumes from sleep quickly, shutdowns in an instant and launches applications quickly and get out of the way as quickly as possible. On laptops and desktops, the operating system is really just a platform to launch apps. It is the apps that we really use to be productive. With the failure of Windows Vista, Microsoft realized that it cannot continue to expect customers to continue buying and upgrading hardware just to runs Windows. With the need to get into the tablet space, I think Microsoft has realized the need for a lighter operating system. After a few days on the Windows 8 Developers Preview release, it think Windows 8 is shaping up to be a worthy successor to Windows 7. Lets forget about the Metro Interface for a bit, you really should not spend to much of your time staring at your operating system. 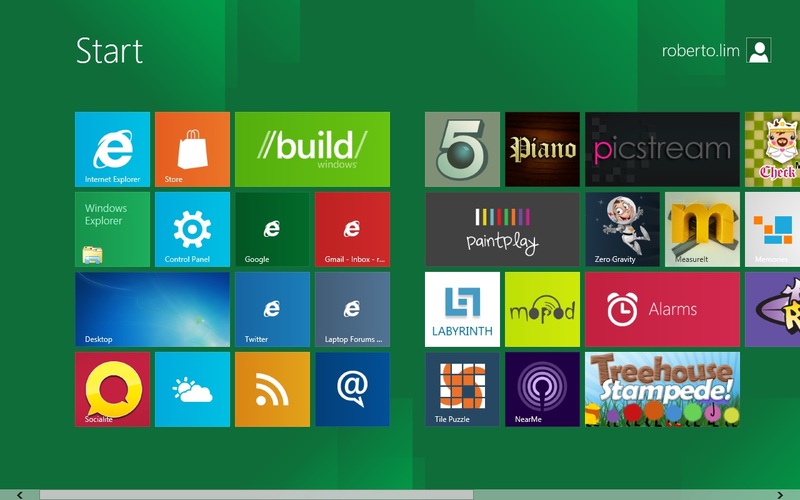 This early Windows 8 release boots 3-4 times faster than Windows 7 and uses less RAM. In other tasks it does not really feel all that much faster than Windows 7. But if Microsoft is able to cut down application launch times, that would be enough of an improvement I think. I also have not encountered stability problems running Windows 8 on a laptop natively. Going back to Metro. Some will like it, some won't. All-in-all I think Metro is a good next generation interface for Windows. Replacing the start menu with what is effectively a full screen start menu, is beneficial to laptops with smaller screens.